Network-attached storage vendors do not usually follow a regular yearly cadence in updating their offerings. Releases for different market segments are spread throughout the year. That said, thanks to the Consumer Electronics Show (CES) held in January, the first quarter of the calendar year provides glimpses into what vendors have in store for the foreseeable future. Some of the announced products are either available for shipment right away or get into the market later in the quarter. Today, we will take a look at the various options currently available in the commercial off-the-shelf (COTS) network-attached storage (NAS) market space. 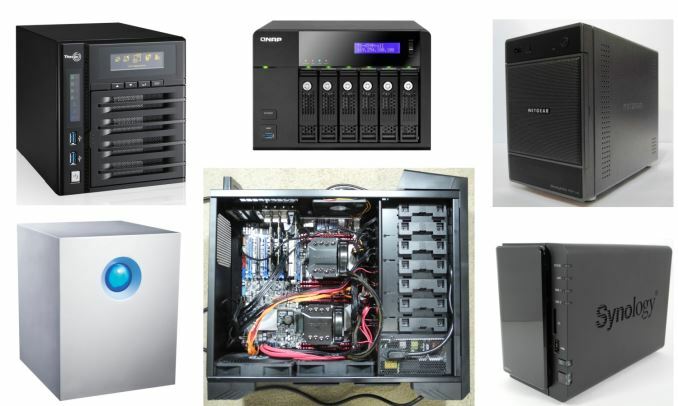 We have evaluated a large number of NAS units (with different bay-counts) over the last several years. The lineups mentioned below (in alphabetical order) are the ones that we are comfortable recommending for purchase after putting a few of their members through long-term testing. Compared to previous years, we have removed the LenovoEMC i- and p- series, as well as the Seagate NAS and NAS Pro units, as they no longer seem to be available for purchase and no new products have been announced in the last year (even though their support forums are still active with official replies). In this guide, we present suitable options for 2-,4- and 8-bay NAS units targeting the home consumer / SOHO market. One important aspect here is that we are not going to talk about the high-end SMB market or the multitude of offerings that come with Windows Storage Server or some similar flavor. Only products based on custom OSes are being considered in this guide. Most units sold in the 2-bay market are purchased by the average consumer who wants to back up photos and videos taken with mobile devices. A performance powerhouse is rarely needed in this market segment. While the user experience with the mobile app(s) is vital, the presence of apps on the NAS itself is just an icing on the cake. 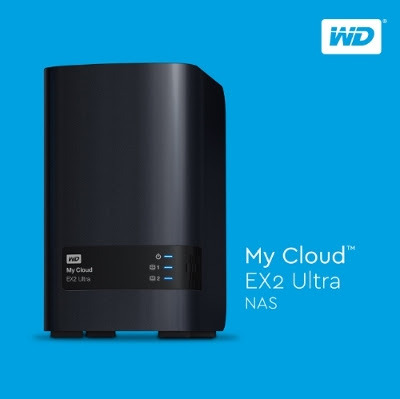 Western Digital revamped their 2-bay product line last month with the My Cloud EX2 Ultra. Compared to the previously recommended My Cloud Mirror Gen 2, this is a slightly more powerful offering with double the RAM (1GB DDR3). Models start at $160 for the diskless version and go up to $900 when bundled with two WD Red 8TB helium drives. Western Digital has also been enhancing various core features such as backup and sync capabilities in the My Cloud OS. Integrated Docker capabilities in the My Cloud OS point to the possibility of multiple easily-integrated third-party apps in the future. Western Digital is obviously a big vendor with end-user support appropriate even for non-tech savvy folks. 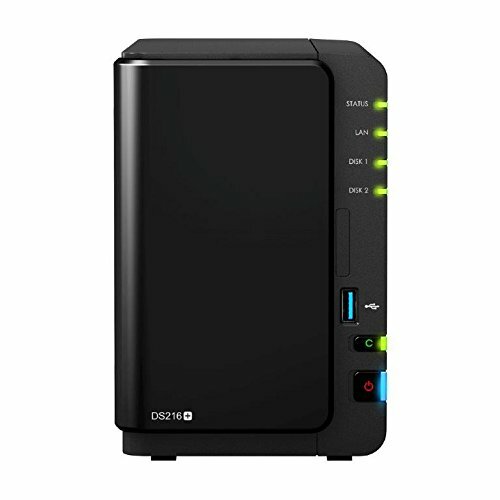 Coupled with the plug-and-play experience, this makes it an ideal purchase for anyone who is looking to get started with network attached storage and needs basic data protection. Power users wanting to experiment with btrfs and needing a more full-featured COTS NAS OS need to look no further than Synology's DSM 6.0. btrfs is available only on x86-based NAS models. The most economical Synology NAS for users wanting to evaluate btrfs for their needs is the Synology DS216+, based on the Intel Braswell platform. The DS216+ is not going to break any benchmark records, as it is held back by the single GbE LAN port. However, the capabilities of DSM 6.0 and the powerful x86 platform, as well as the pricing make the Synology DS216+ an interesting product to consider. The ZyXEL NAS540 came in for review last year, and is still under evaluation. But, we like the unit enough to be able to recommend it as an alternative to the popular LenovoEMC ix4-300d (now that LenovoEMC is no longer selling that model). The main attraction here is the price - $220 for four bays is approximately the same as what the ix4-300d used to cost when it was in the market. However, the NAS540 has double the RAM (1GB DDR3) of the ix4-300d. It also supports hot-swapping of the drives, unlike the ix4-300d. The NAS540 is a PowerPC-based unit (Freescale/NXP FS1024 (M86203G12) C2K dual-core @ 1.2 GHz). It comes with dual GbE LAN ports, a USB 3.0 port as well as a SD card slot. 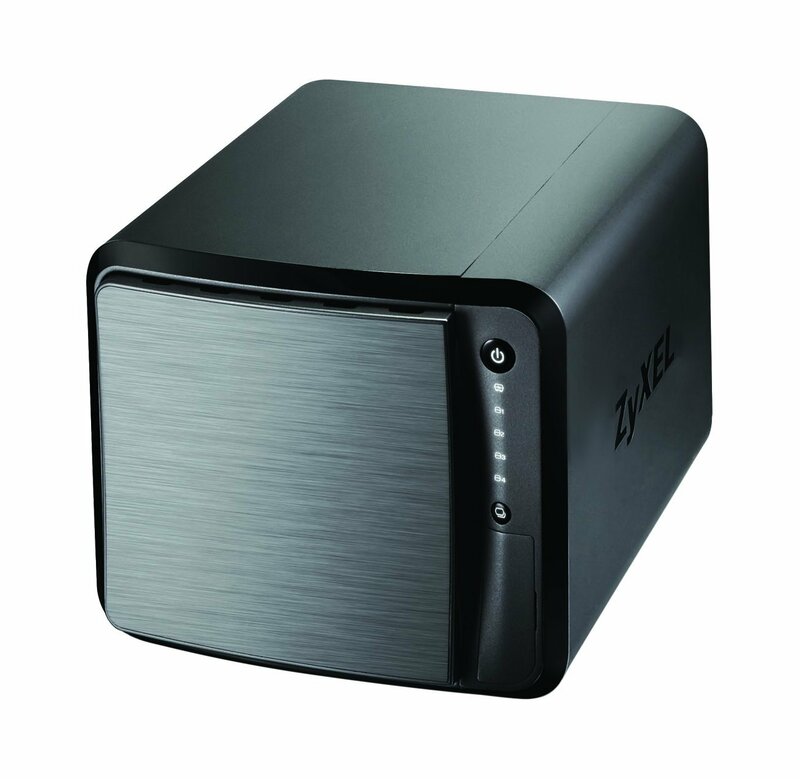 ZyXEL has equipped the NAS with enough features (mobile apps, remote access etc.) to make it deliver very good value for money. Obviously, one shouldn't expect the finesse and capabilities of OSes from the likes of Synology and QNAP, but, again, the price more than makes up for the missing features and sporadic firmware updates. A couple of days back, Synology announced the Marvell ARMADA 385-based DS416slim (with support exclusively for 2.5" drives). While it is definitely an interesting product (particularly for power users requiring a small, power-efficient storage box for home-based virtualization labs), the average storage-hungry consumer is better off with a traditional 4-bay unit. The first quarter of the year hasn't seen too many updates on the 4-bay front (particularly talking about x86-based models). QNAP did launch their Braswell-based units at CES. 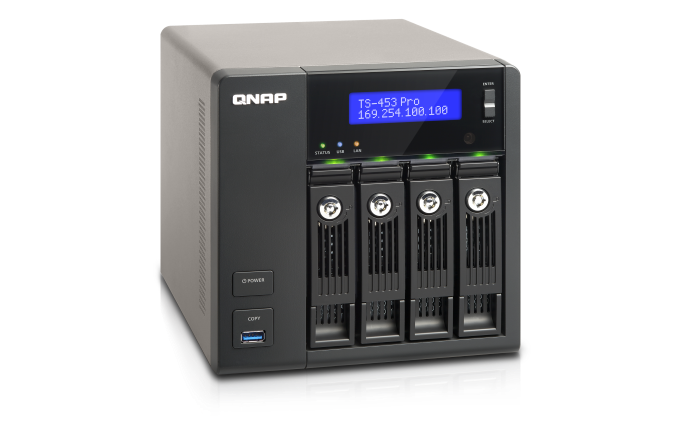 In our previous guide, we had recommended the QNAP TS-453 Pro. The Braswell version is a worthy update that we will continue to recommend for the same reasons. The TS-453A comes with four GbE LAN ports - ideal for dedicating to virtual machines running on the NAS. We wouldn't suggest running intensive VMs on the Intel Celeron N3150-based TS-453 Pro, but the platform is powerful enough to run Ubuntu VMs and the like for, say, acting as a home automation controller. 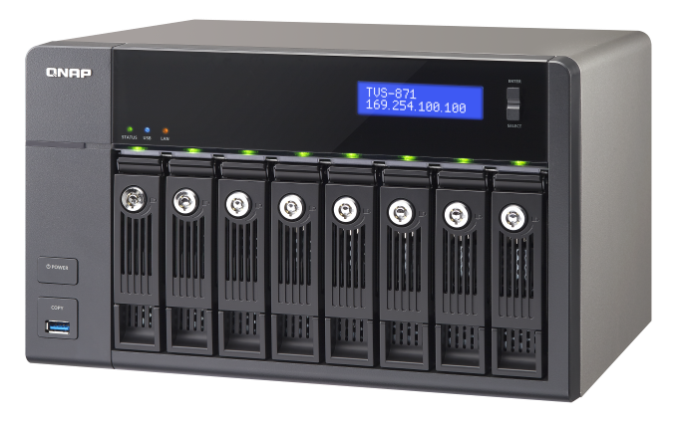 QNAP's QTS is very rich in features (both mobile apps and the NAS apps ecosystem), and is perfect for power users. Our 8-bay recommendation is retained from our previous guide. The TVS-871-i7-16G is a no-holds barred NAS sporting a Core i7-4790S Haswell processor. With 16 GB of RAM and a minimum of 4x 1GbE ports (additional 2x 10G also possible with the spare PCIe expansion slot), this NAS is ideal for running multiple intensive VMs. The 4C/8T Core i7 CPU ensures that there is enough processing power for the VMs and plenty to spare for the NAS functionality as well as apps running on the NAS itself. The TVS-x71 units are meant for the high-end SMB market, but, in our evaluation of a TVS-871T-i7-16G unit over the last several months (review is coming out soon), we can say that it is positively drool-worthy for the high-end power users with cash to burn. The Pentium-based model comes in at $1350, while the Core i3-based one is at $1377. For a more moderately priced 8-bay system on the COTS side, one could opt for models such as the Synology DS1815+ [ $961 , Review ] or the QNAP TS-853A [ $999 ]. Obviously, going the DIY route with, say, an ASRock Rack C2750D4I board and a U-NAS NSC-800 chassis [ Review ] might make for an interesting build, but the price difference is not that big (approx. $845 vs. approx. $1000) when build time and software management aspects are considered. On the 4-bay side, Netgear's ReadyNAS RN214 with an updated quad-core Annapurna Labs SoC and btrfs support is an interesting option. 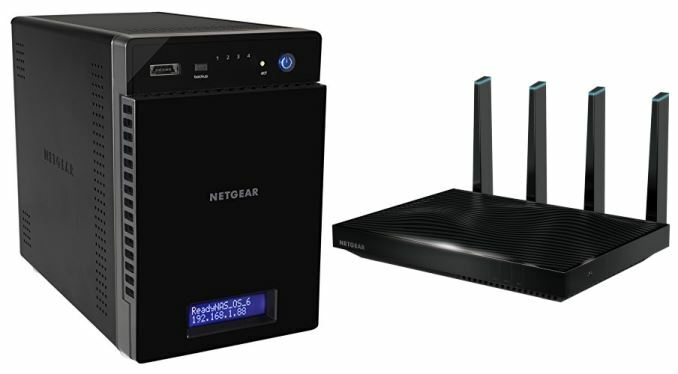 Coupled with the newly introduced Netgear Nighthawk X8 R8500 tri-band 4x4 802.11ac router and the promise of plug-and-play link aggregation support, it presents a compelling solution for consumers in the market for a router as well as a NAS. Yes, but not as a GAMING HTPC. I have a GTX 970 powered uATX NAS with a 20TB RAID5. Gaming on a large screen in 5.1 sound is great. Steam streaming has been a fantastic thing for me. I've unplugged my gaming box from a monitor and shoved it into a corner next to my router where it's out of sight and out of mind. I don't have to worry about having a big, unsightly PC with a tangle of wires on my desk or worry about what works with Linux that I can play on my laptop (which isn't much since it's old and the ancient Intel GPU only supports OpenGL up to version 1.4). I'm also using it as a network file server since it has redundant disks. It still needs some other sort of remote viewer like VNC or RDP since Steam's streaming isn't the best for remote management. Breaking out of an application to do other things on the box isn't the most streamlined experience, but still, I haven't had a monitor connected to my desktop in half a year now and I have no intention of doing so again since I really don't like to work or play behind a desktop anyway.